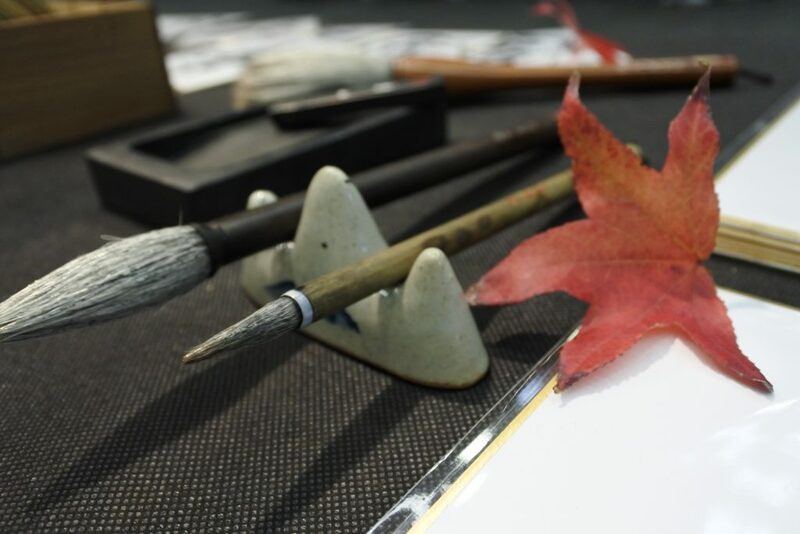 We use similar tools for Japanese Calligraphy and sumi-e drawing. In Japanese this four elements are called bunbōshihō which translation would be “the four treasures for study”. 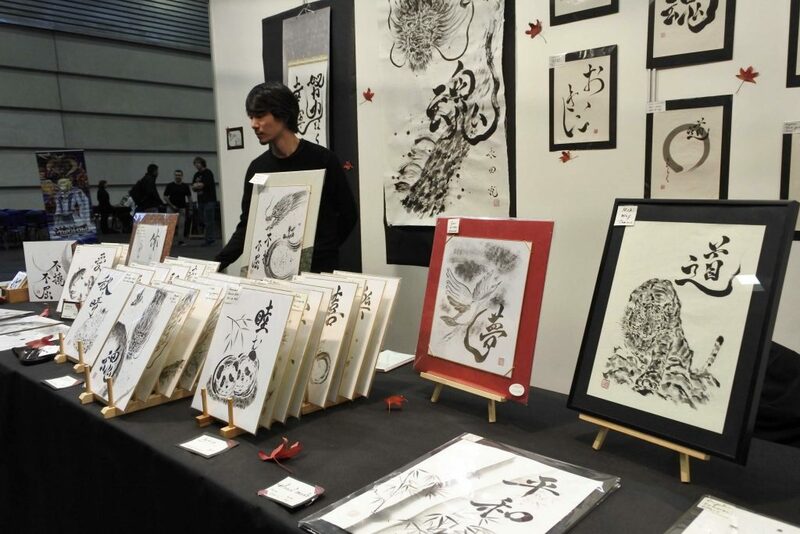 There are special papers and brushes for sumi-e. The paper is very important to create with the desired effect with the ink for the drawing. The paper has different type of absorptions. There are some drawing effects that can only be achieved with a certain type of paper. The ink I use for calligraphy and sumi-e painting is the same type. The ink comes from charcoal, there are sticks are dissolved by rubbing them with a special stone container called “suzuri“. 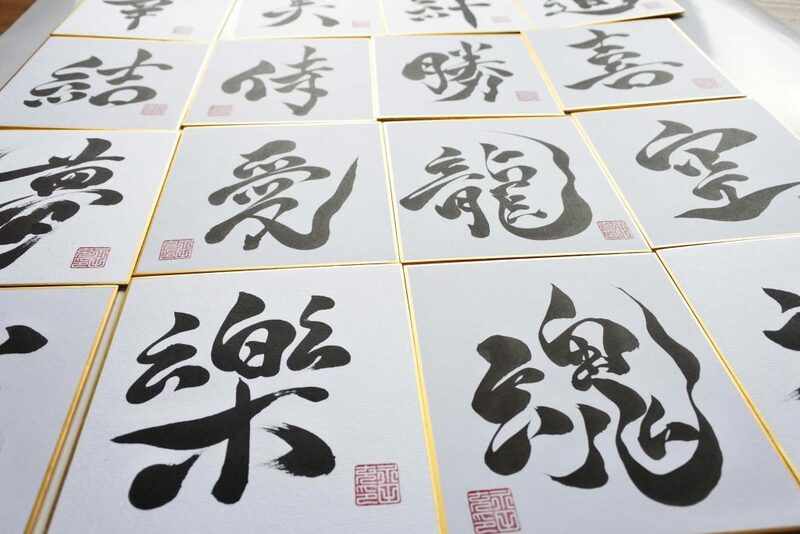 For the sumi-e technique , more water is added to reach different shades of gray that appear in the painting; In contrast, for calligraphy is usually used the darkest ink. I paint on traditional washi paper, also called ‘rice paper, in different Japanese sizes and types depending on the painting. Shikishi are some traditional painting boards that are used for Sumi-e, calligraphy and painting, Shikishi has a gold foil flecks embedded. There are many measures but the typical is 24X27cm. How can I display my Shikishi? There are some traditional Japanese frames for shikishi boards on my shop, check for availability. The Sumi ink is obtained from a solid ink bar. 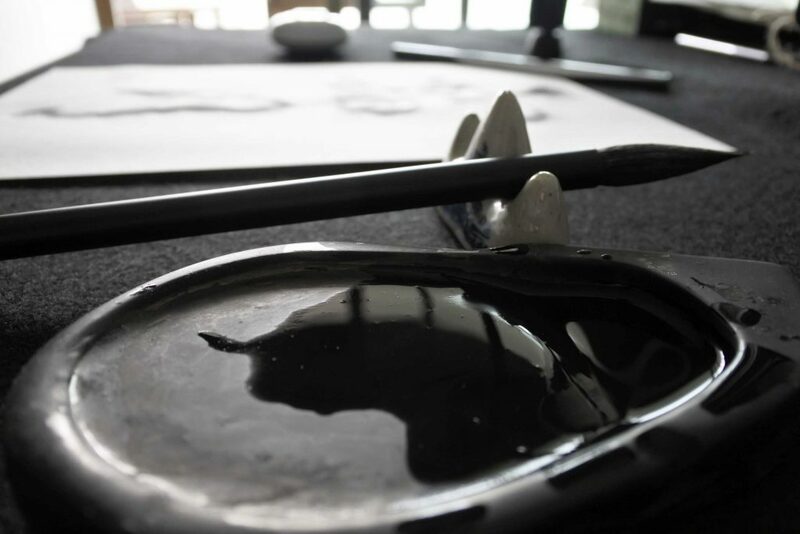 To obtain the ink it is necessary to rub the solid ink into a stone with a little water on it until it reaches the necessary density to paint or write. The stamp is my signature with my name on it in Tenshotai which is an ancient style of calligraphy. 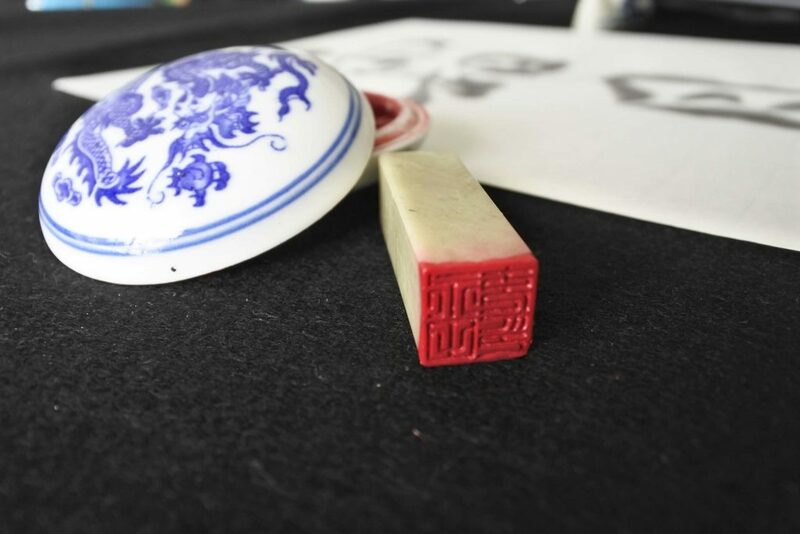 It is common to sign the calligraphy with this type of stone seal. Brushes are made from bamboo and other natural fibers; the size of those depends on the drawing that you want to create. The washi paper is very resistant but at the same time very thin and gets shirked by the ink. Therefore when we finish the painting we do a process called ‘Urauchi’. It consist on ironing the painting with another special glued paper on the reverse of the painting. All my paintings on Washi paper have this process done.